Pizza Project are very excited to announce a new regular pizza street food location at the Prince of Wales Reigate pub, a short walk from Reigate station. 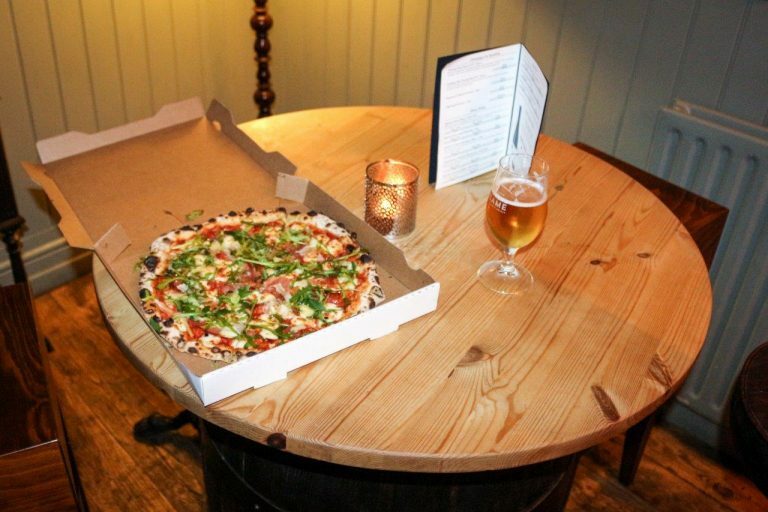 The team will arrive at the pub and be ready to serve pizzas from 17:00 every Tuesday! Please call ahead with your order. Our pizzas are hand-made using traditional Italian methods. We create fresh dough (never frozen!) and let it sit for 24 hours before it is hand-stretched and prepared with toppings. We try hard to keep our menu stocked with an exciting mix of flavours, and rotate our Meaty and Vegetarian specials every few weeks. 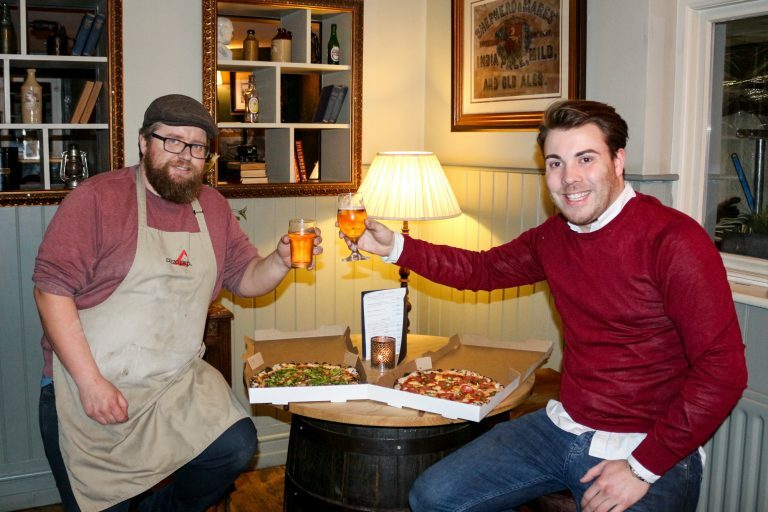 During our street food pitch at Prince of Wales Reigate feel free to order your pizza and enjoy a swift drink while we prepare it – but remember our wood-fired pizza ovens can cook a pizza in under 2 minutes! The pub staff are also more than happy for customers to eat Pizza Project pizza inside the pub – get the best of both worlds! Catering outside means that occasionally the weather controls our schedule. Please do check our street food locations page, and our Facebook page for the latest weekly updates. We look forward to seeing you soon! Have you tried our pizzas? If so you’ll be very glad to hear that we also offer catering services for weddings, private events and corporate parties. Our mobile pizza ovens and vans can travel throughout the South East to your venue. Please get in touch today if you’re interested in a free catering quote.